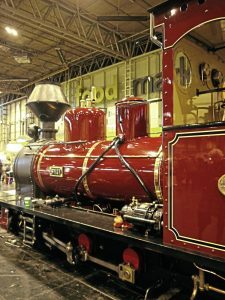 FOUR full-size steam locomotives took centre stage as the Warley National Model Railway Exhibition celebrated its 50th birthday. The Sandwell-based Warley Model Railway Club was founded in 1966, and held its first exhibition the following year. Around 15,000 people attended the event this year, in Hall 5 of the National Exhibition Centre in Birmingham. Music mogul and model rail fan Pete Waterman presented prizes at the show. On display were GWR 0-4-2T No. 1450 from the Severn Valley Railway, 2ft gauge Hudswell Clarke 0-6-0 No. 972 of 1912 No. 11 Fiji from the private Statfold Barn Railway near Tamworth, new-build Decauville 0-4-0T Edgar built by NBR Engineering Services Limited at Scarborough and SECR H 0-4-4T No. 263 from the Bluebell Railway. No. 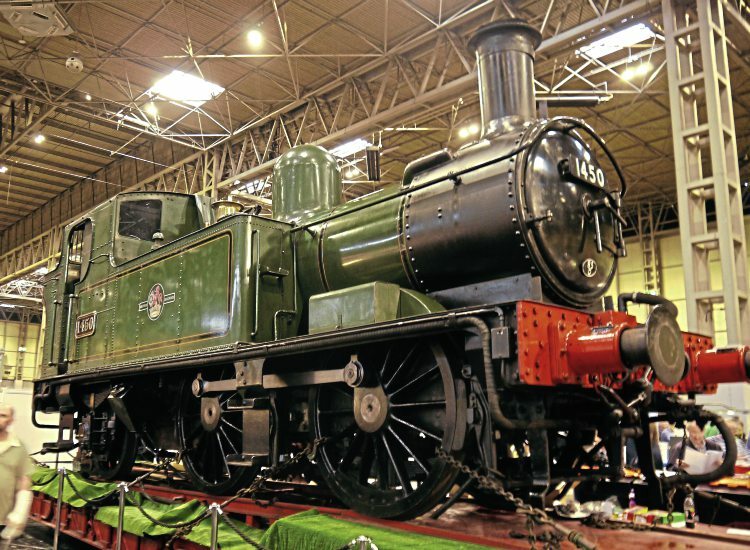 263 was displayed on the Hornby stand to promote the firm’s new model of the Wainwright locomotive. The model is being produced in both pre-Grouping livery as No. 308 and late BR livery, and the latter comes as part of a train pack with a pair of Southern Region green coaches. The final member of the class in service, No. 263 was withdrawn from Three Bridges on January 4, 1964. That November, it was purchased by the H Class Trust and moved to Robertsbridge, later being transferred to the South Eastern Steam Centre at Ashford. In 1975 the trustees decided that the locomotive would have more scope for running if based on the Bluebell and in 2008 ownership was transferred to the Bluebell Railway Trust. Following an overhaul, it returned to service on July 28, 2012.